tips ->how to extract the sound from most video file types? Guide:how to extract the sound from most video file types. ease mp3 wav converter is a powerful and simple audio converter, It can convert many popular audio files.It can be directly convert between the following audio formats: MP3, WAV, WMA, OGG, AAC, APE, FLAC, the MP4, M4A, MPC (MusePack), AC3, WavePack. Ease mp3 wav converter can not only convert between audio formats and can extract the audio from the video, such as avi to mp3,mpg to wav,mkv to wma, support a large number of video formats. You may extract mp3 from avi,wmv,mpg,mkv,rm, with ease mp3 wav converter. 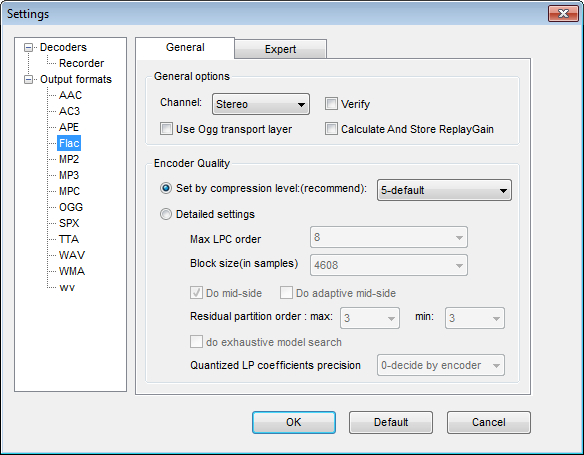 Step-by-step Guide: How to convert flac to wma with this ease mp3 wav Converter? Step 1: Click here free download and install this Ease mp3 wav Converter and then run it. choose "MP3" as the output format. Video files will be loaded as the following picture.